We are proud to be an AA approved dealer. All our retail vehicles come with free 12 months AA breakdown cover, a minimum of 6 months MOT , HPi security check and, a comprehensive warranty upgrade is available on all quality retail used vehicles. We are open 7 days a week by appointment. We are located on the Surrey/Hampshire/Berkshire border and just 30 miles from the heart of London, less than a mile from junction 4a of the M3 motorway, 20 minutes from the M25 (J12) and 25 minutes from the M4 (J11). Our local train station is Fleet which is also less than a mile away and on the main line from Waterloo to Southampton. If travelling by train please let us know what time you'll be arriving and we can come and collect you. If you have any questions please do not hesitate to call us on 01252 786413. No Admin Charges, Just Friendly Service. 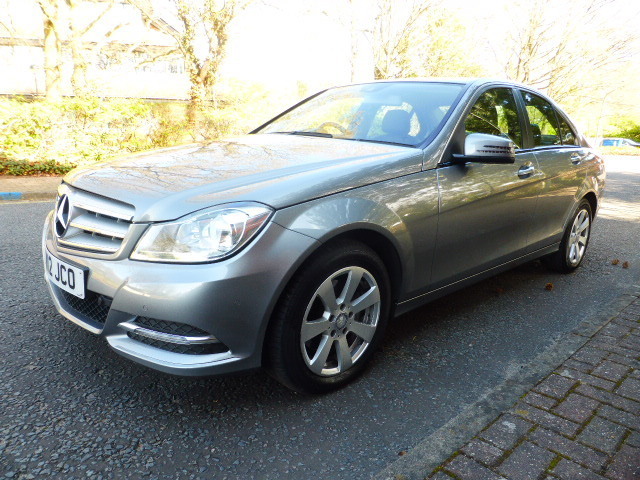 Full Mercedes Service History, Comprehensive Warranty Upgrades To 36 Months Available, Great Value Sought After 4 Door Executive CDi Saloon, Viewing Essential, One Owner Plus Mercedes Car From New, 8 Speakers, Acceleration Skid Control (ASR), Airbag - Kneebag for Driver, Airbags - Dual - Stage, Driver, Airbags - Dual - Stage, Front Passenger, Alarm System, Alloy Wheels-16in 5-Twin-spoke Design 205/55, Anti - Lock Braking System (ABS) with Brake Assist (BAS), COMAND comprising radio, integrated CD/DVD changer (6 disc) with MP3 compatability, HDD map navigation system with TMC, Lingatronic, PCMCIA and 4GB music register. Video Capability, 5.8in Colour Display and Central Controller Dial, Automatic Climate Control - Two -Zone, Becker Map Pilot Navigation System, Bluetooth Interface for Hands - Free Telephony, Bumpers - Body - Coloured, Centre Console, Centre Rear Seat Belt, Comfort Suspension, Door Sill Panels with Stainless Steel Inlays with Mercedes - Benz Lettering, Double Cup Holder in Rear, Centre Armrest, Electric Power Steering, Electric Windows (4), Electronic Stability Programme (ESP), Exterior Mirrors - Heated and Electronically Adjustable, Front Seats - Electrical Height and Back Adjustment, Front and Rear Centre Armrest with Storage, High - Level Third Brake Light, ISOFIX Child Seat Fixings in Rear (Two Outer Seats), Immobiliser, LED Bar Daytime Running Lights, Manual Lumbar Support for Front Seats, Multi - Function Steering Wheel (12 - Button) - Controls Audio and Onboard Settings, Neck - Pro Front Head Restraints and Rear Head Restraints, Parktronic - Front and Rear, with Advanced Parking Guidance, Rain - Sensing Wipers, Remote Central Locking, Sidebags in Front Seats and Windowbags for Driver, Front Passenger and Rear Passengers, Space - Saver Spare Wheel, Steering Column with Adjustable Height and Reach, Tinted Glass All Round - Green, Tyre Pressure Loss Warning System, Grey Leather interior, Front Seats - Heated, Rear Seats - Split Folding / Through Loading Facility, Storage Package.